My family LOVES Mac and Cheese! I had A LOT of cheeses and some pepperoni that needed to be used in my fridge and this is what I cam up with! 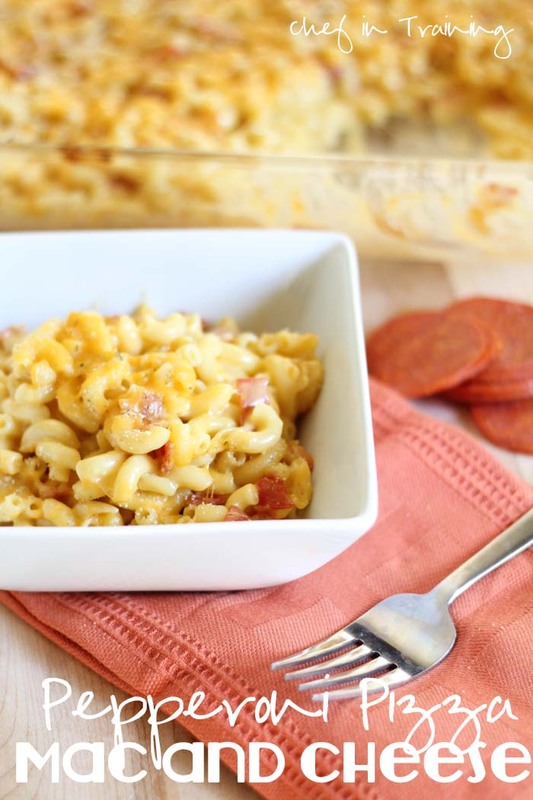 It was so good and my hubby really enjoyed this fun change from the traditional mac and cheese I usually serve. Definitely give this a try! It makes for a yummy side dish! Yumm! Sounds like a great combo! My kids would love this! Man....I wish we ate cheese.....I would so be making this RIGHT. NOW. Even though we don't have young kiddos in our house, my family and I eat like children every day and I know they'll love this! I attempted this recipe last week for dinner. For anyone that is making this, be aware that you will need much more milk than 1/2 cup; without it, your sauce will not be smooth, it will be the consistency of play-doh. Likewise, I had to add in about 1/2 tsp. of garlic powder because it was bland tasting otherwise. With those substitutions, it was a great side dish to our grilled burgers and side of green beans. Oops! I mean more than the 1 cup of milk - it was probably close to 2 or 2 1/2 cups. Chelsey thanks for your input on the milk. I couldn't remember how much milk it took thats why I said to add more than needed, I updated the recipe with you feedback! I actuality think the addition of garlic powder would be super yummy! Good call!